For several years, the media has reported on the declining enrollment in the for-profit sector. 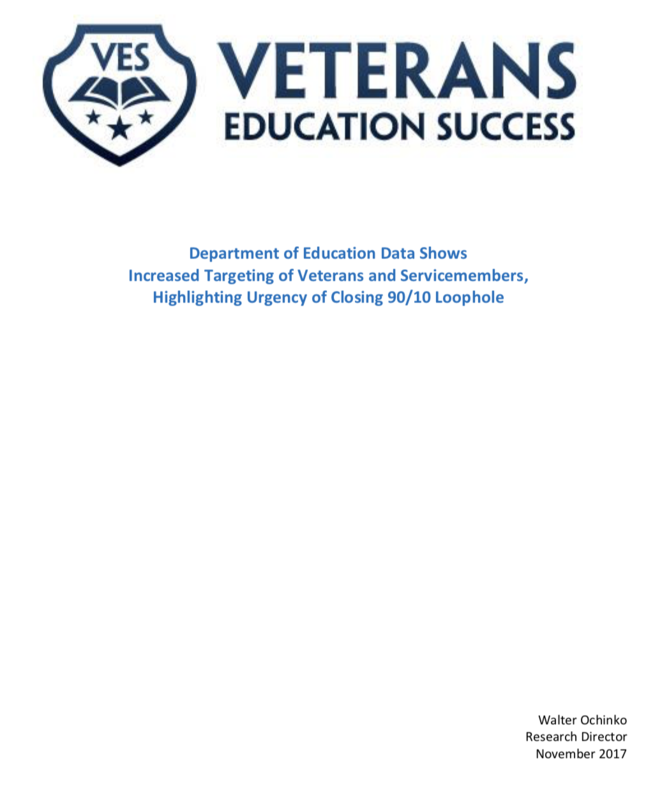 However, our analysis of federal revenue flowing to the for-profit sector from the Departments of Veterans Affairs (VA), and Defense (DOD) highlights the heavy and growing reliance of proprietary schools on such educational benefits and suggests that the sector’s targeting of veterans and servicemembers has helped to soften the impact of its overall enrollment decreases. This increased targeting of veterans and servicemembers highlights the importance of closing the 90/10 loophole in federal law in order to protect student veterans, servicemembers, and taxpayers from predatory schools.